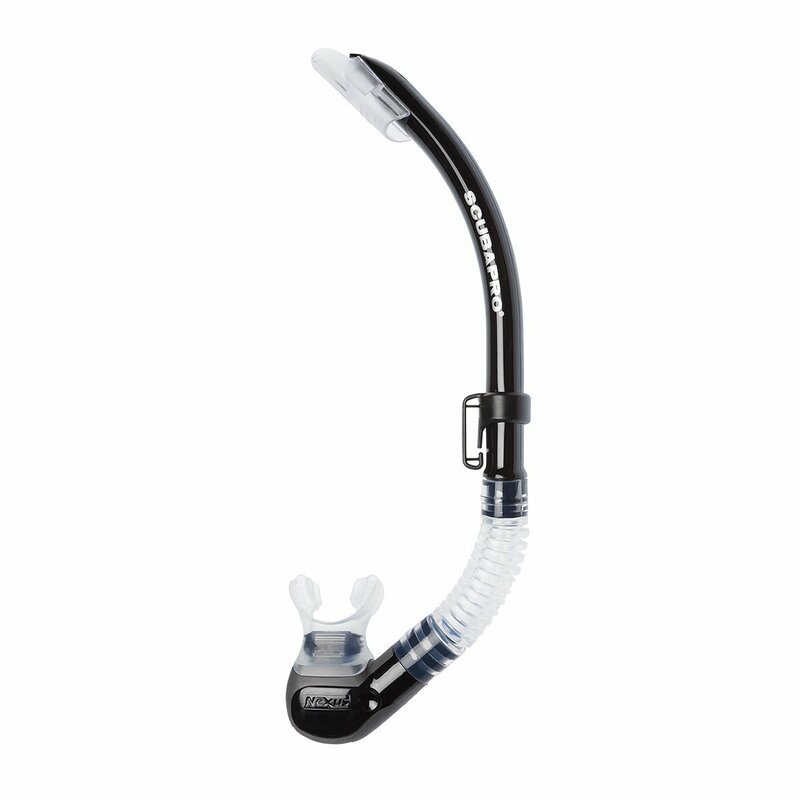 The NEXUS is one of SCUBAPRO's premium snorkels. It features an oval-shaped, large-bore upper barrel that minimizes drag while allowing lots of air to flow. The barrel is fitted with a splashguard-style top to deflect surface water. At the other end there's an angled purge valve designed to divert bubbles out of your line of sight. The rotating mouthpiece can be positioned perfectly for maximum comfort. When breathing off a regulator, the snorkel's corrugated lower section drops out of the way. The NEXUS offers another handy feature: the upper barrel is flexible, so you can fold it for stowage in a BC pocket. Splash guard top helps keep water from entering the large-bore barrel.